The third party, mediator, involved in facilitative mediation has the primary role in assisting parties with the management of the mediation process. Unlike evaluative or advisory mediation models, the mediator cannot make advices regarding the facts and possible resolution of the disputes. This model, many argue, underpins the core purpose of the mediation- the self-determination of parties in reaching the negotiation. The mediator therefore can only be described as a third party who sets up the avenue and relevant atmosphere for an effective mediation to take place. 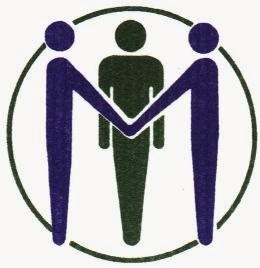 The evaluative mediation involves the process of a third party not only managing the process of the dispute resolution but proactively engaging in the process of resolution in terms of providing advice to the process, and in some cases, to possible and favourable outcome to the disputes. Both models, unfortunately, are not exempt from scholarly and judicial criticisms. In terms of preserving the self-determination aspect of mediation, the facilitative model does its best compared to evaluative mediation which critically undermines this core value. On the other hand, the evaluative mediation is mostly criticised for the lack of necessity for the evaluation. As hinted above, this process undermines the cornerstone of the mediation (self-determination) by actively intervening in the process of decision-making. Again, purists argue that it is not the authorised practice of law. This criticism is well-supported by research conducted in many jurisdictions. The Harvard Law Review of 2011 that researched into the effectiveness of the evaluative model concluded that it is possible to mediate cases without using any evaluative techniques. The conflict in Syria (aka Damascus) is among Syrians; those loyal to the Syrian Ba’ath Government and those who seek to overthrow it. Initially it was a protest, but now it has evolved into an armed rebellion, causing more than 80,000 casualties. As recognized by United Nation and many other international humanitarian aid bodies, Syrian people must identify a resolution to the conflict and implement a vision for a new political dispensation. Under article 1(1), the fundamental purpose of UN’s existence is to prevent and resolve any disputes or problems to maintain world peace. The most active organs of UN in resolving disputes are the General Assembly and a Secretary Council established under article 7. Furthermore, it is provided that the General Assembly (all Members of UN, art 9) may discuss matters within the scope of the Charter (art 10). There is no doubt that the Syrian conflict falls within the scope of the Charter. Under article 18, each member of GA shall have one vote and for deciding on questions, two thirds majority is required. There are five permanent members of the UN (China, Russia, Ireland, UK, United States) (art 23) who have exclusive duties in relation to matters under Chapters Six and Seven. In order to pass a resolution of a Security Council, there must be a unanimous vote between those five permanent members (art 27). The Security Council resolution 2042 (2012) was passed under art 27. It included a six-point proposal that was essentially a mechanism to assist parties in de-escalating the conflict. Specifically, it provided that there is to be: 1) commitment and political dialogue; 2) ceasefire; 3) humanitarian assistance to civilians; 4) release of political prisoners; 5) access to journalists, visas and freedom of movement and 6) freedom of Syrian people to protest without being shot upon. Both parties committed to abide by the terms and to ensure that this occurred, the UN deployed approximately 300 observers and other 100 personnel under the mission UNSMIS. The United Nations sent in observers to conduct fact-finding and good offices. In short, however, those processes ultimately failed after a few weeks. Those processes are not one of the listed processes under article 33(1) but it quietly falls within the phrase “other peaceful means.” The process of good offices was originally found in the Manila Declaration. The crux of the Annan’s peace plan (six-point plan) was essentially the good offices. Good offices can be described as the use of a third party to encourage the contending parties to come to a settlement. Unlike arbitration and adjudication, the process aims at persuading the parties to a dispute to reach satisfactory terms for its termination by themselves. They are also referred to as an adjunct to negotiation as they may simply encourage parties to resume negotiations or provide another channel of communication. The primary purpose of good offices in midst of Syrian conflict resolution was, paraphrasing UN Report (6 July 2012), to seize opportunities to foster dialogue, to arrange local-level agreements to calm tensions and promote ceasefires between the sides and to deepen engagement where possible, as steps towards confidence-building and stability where signals from the sides encourage such measures. The effectiveness of good offices is usually limited by its lack of enforcement powers to ensure parties come into negotiation and the fact that it cannot ensure co-operative atmosphere. In its application involving missions to crisis zones, fact-finding involves any activity designed to obtain detailed knowledge of the relevant facts of any dispute or situation that the competent UN organs need in order to exercise their functions. The purpose of UN fact-finding missions is to discover facts. But further to that primary purpose, the mission aims to prevent conflicts and enhance UN’s ability to monitor conflicts more effectively. There are no procedural rules but fact-finding should be comprehensive, objective and impartial. There were at least 4 barriers of implementing UN’s proposed dispute resolution mechanisms to resolve the Syrian conflict. Namely, the barriers were lack of trust, bad faith, responsibility of other countries, armed conflict. In summary, permissive environment was absent for resolution to take place. Since the processes under article 33(1) has not worked, the Security Council then can have recourse to articles 41 and 42. Article 41 involves using non-military force or namely sanctions, which are occasionally proven to be ineffective. Article 42, if article 41 has not worked, operates as the last resort to dispute resolution. However in 18th July 2012, it was the third time where China and Russia vetoed against the Western proposed UNSC resolution that would threaten sanctions against Assad. There are two main types of negotiation: 1) competitive, positional negotiation and 2) integrative, principled negotiation. The first negotiation involves two or more hard negotiators who are psychologically against each other’s wills. They are less inclined to make concessions and provide substantially limited information and facts. Secondly, the principled negotiations involves two parties who are both willing to make concessions and mutually understand each other’s interests and differences in order to come to the best resolution. Whereas the first type of negotiators are believers of zero sum game, this principled type of negotiators believe in win-win solution. There is no best type of negotiation because it fundamentally depends on the nature of the dispute that arose between the parties. The competitive model is criticised because of its inability to effectively conclude an agreement since parties are more likely to offer high-standard terms rather than acceptable, reasonable terms. The ongoing dispute between hard negotiators may deteriorate the relationship and the relationship will be built on mistrust and ongoing hostility. Furthermore, the adverse consequences of hard negotiations are that there could be potential impasses in the process which produce cost-ineffective and time-consuming dispute resolution. The principled and integrative approach is also not free from scholarly and judicial criticisms. The whole notion of principled approach is based on the assumption that there is a win-win solution. Furthermore, it ignores the reality of power imbalances and also the principle of positional bargaining. Successful negotiation: negotiating in good faith? A pre-condition for a successful negotiation is the parties’ willingness to negotiate in good faith. Hacock SDP in Re Australian Rail explained duty to negotiate in terms of the parties’ preparedness in considering seriously the offers and options made by the other party and to take into account of arguments. It appears that following this requirement, a negotiation involving competitive bargaining powers are exempt from being a successful negotiation. However, it must be acknowledged that a successful negotiation depends not on the two parties’ perspective but in practice, the eye of the winning team. Despite this limitation, the courts have occasionally recognised such duty and the most relevant case is United Rail Group Services. The biggest barrier obviously involves a party’s unwillingness to negotiate in good faith. The court in Western Australia Taylor identified some indicia of bad faith including stalling negotiations, communication failures, unexplained delays, failure to respond, adopting non-negotiable negotiations, refusal to sign an agreement etc. Again, it is a failure to do what a reasonable would do in the position.